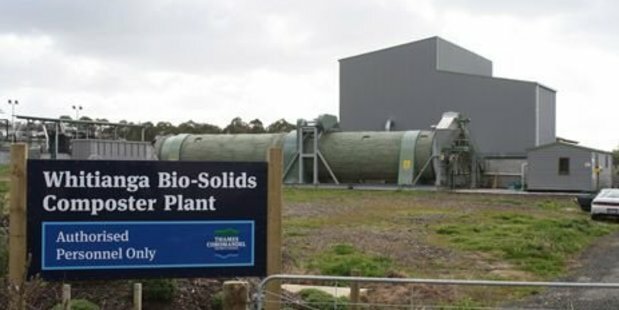 The Whitianga bio-solid composter unit that's been trialling production of grade Aa compost permanently closed on Monday. Thames-Coromandel District Council's infrastructure delivery group manager Bruce Hinson said the composter was costing ratepayers a considerable amount to run. "It's just not financially viable," Mr Hinson said. "It was purchased as a second-hand machine, so the plant is starting to age. We're spending tens of thousands in maintenance and depreciation and the costs are just outweighing the benefits." Before making the decision to close the composter the council considered the volumes of bio-solids able were too low at 40 tonnes per month at peak capacity; the age of the plant and the cost of maintenance (an estimated $40,000 would be required), and operating costs were more than $220,000 a year. "When the composter was first set up as a trial back in 2007, there were assumptions that fuel costs and landfill costs would rise, which meant composting bio-solids would be financially beneficial. In reality, transport and fuel costs haven't increased in the past 10 years as expected," Mr Hinson said. "Over the past three years council staff have investigated potential commercial markets and modelled financial results and future viability, all of which have proven to not be financially viable. "Once the operation has ceased, work will begin on decommissioning the composting plant, with a number of options available around this. "We are not ruling out that we will be able to do some form of composting in the future, which we hope will involve regional support, or cost-sharing benefits with other councils," Mr Hinson said. Green waste could be dropped off for free at the composter site while the trial was under way. It will now have to be left at all council refuse transfer stations.